This week, Director Tom Morris (War Horse) led proceedings at an exclusive preview event for the new musical, The Grinning Man, in Soho’s Century Club. We were treated to several songs from the production, one after the other showcasing the cast’s immense talents and the show’s beautiful music. We even got a look at some of the stunning puppetry featured in the show, performed by Gyre & Gimble who wowed audiences by bringing the animals of War Horse to life. The Grinning Man is a magical reimagining of the classic novel by Victor Hugo (Les Misérables). It follows the tragic figure of Grinpayne, a young man with a hideous smile. Paraded as a freak, then celebrated as a star, only the love of a sightless girl can reveal his terrible secret. 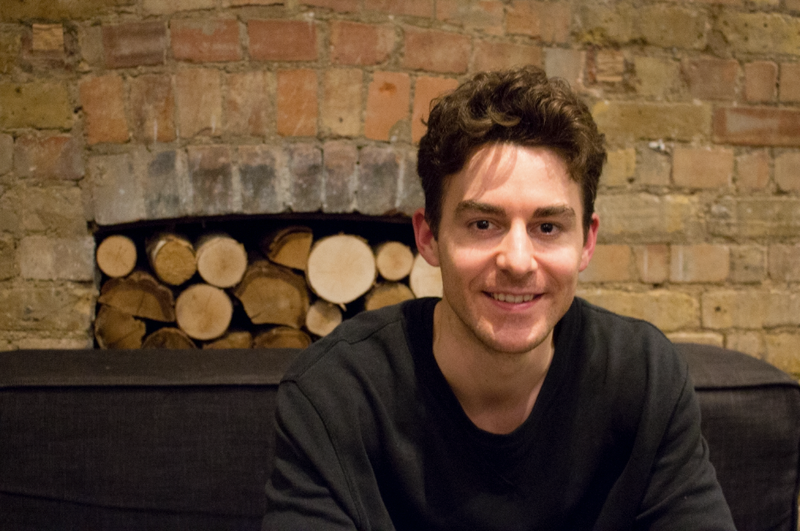 After the presentation, we sat down with leading man, Louis Maskell. And before you make the same mistake we did, it’s Lou-ee, not Lou-is. He joined us and TodayTix Social Ambassador, Kimmy Kimani, in the green room to chat about his character Grinpayne, his experience of taking the show from Bristol to the West End and what we can expect from this exciting new musical. You’re bringing a new show to London coming from a really successful run in Bristol, what was it like starting a brand new production? It was amazing. That place [Bristol] it almost kind of feels like it kind of reflects the piece because it’s quite Bohemian. There’s a kind of weird underbelly to it which I think really suited the experience and the theatre. To originate work anyway is thrilling but also to do it with so many different mediums and skills like puppetry and sword-fighting. There are challenges like wearing a mask and a bandage over the mask but it was all totally amazing. You were nominated for a UK Theatre Awards for Best Performance in a Musical – what did it feel like to get the recognition for the role of Grinpayne? It was great. For me, it was like a bonus, because the real reward was to be cast in a totally new production in a theatre I’ve never worked at and one that evokes such history. To be nominated was great, but to actually be a part of the piece was the real triumph. How does it feel to be a West End leading man? It’s amazing, a dream come true. Because I’ve always wanted to be in the West End and how amazing to be here with a completely new piece that I am originating! You trained at Guildford, you’ve worked in a lot of great productions in Sheffield and now you’re the lead in The Grinning Man. That’s the kind of journey that most aspiring performers would love to have – what advice would you give to theatre students? I think to try and always have the ball in your court, because as actors, you very rarely get a choice. If you can, be as brave as possible and hold out for as much new stuff as you possibly can. For me, if I did plan it, it was the way in which I became a better actor, met new people and established myself as, I guess, a leading man. I think just be as brave as you can relative to your situation. You wear a prosthetic over your face as Grinpayne, what was it like to perform in? It’s challenging because obviously we’re used to our own bodies and faces, to then have to do a high-intensity show with literally something just hanging on your face, was really challenging. But it’s something that I guess I just had to work around. I was slightly restricted in my speech at first. You really just need to embrace it rather than go against it because if you fight it then I think you’re doomed. But also, it’s pretty cool. To be able to embody a character and to have something that is part of your body anyway, as opposed to costumes, was amazing. So it helps you to transform? Totally, it’s like you can’t help but transform because you’re seeing it when you look in the mirror, instead of saying [touches temples] ‘I am the Grinning Man’, you can actually see it. What are you most excited for people to see or experience with The Grinning Man? I’m excited for them to experience a new story. It’s very theatrical, incredibly so, and to me, it feels like something I would have loved to have seen as a child. It’s genuinely so unbelievably theatrical that it’s very rare that you have a piece like this that you don’t think about other things. I know I’m biased but the people who I know who have seen it have been totally immersed because the puppetry is so good, it’s like the purest form of theatre. It just grabs you and takes you on an incredibly romantic, dark and funny ride. I’m excited for them to experience something completely different and that the West End has never seen before. Can you describe The Grinning Man in three words? If black comedy can be one word, I’m gonna say black comedy, puppetry and fantasy. 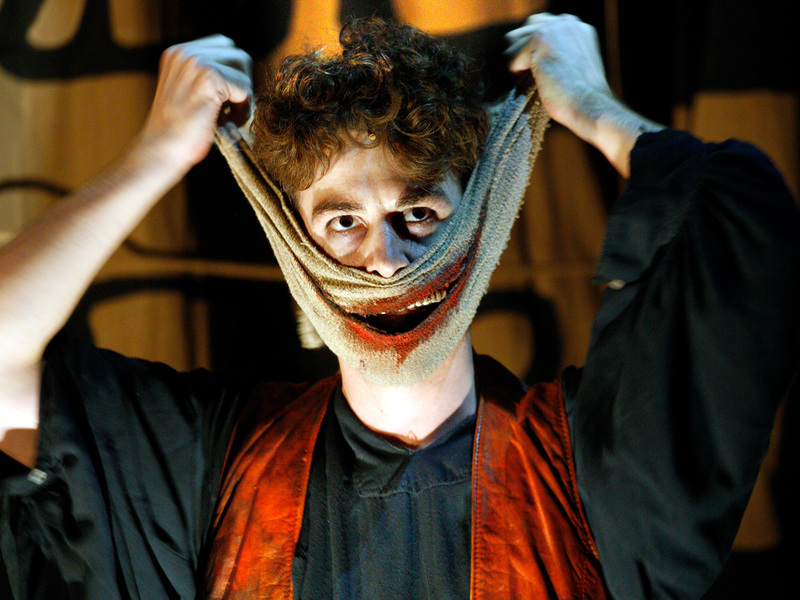 You can see Louis Maskell in The Grinning Man from 6th December, book your tickets here. Want more? 5 Reasons Theatre Is Something To Share.